ZoomBucks is a legitimate online rewards program founded in 2010 by Vikas Tailor of Canada. It’s just like any other online rewards program. 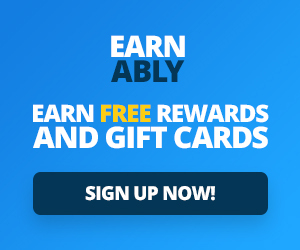 It rewards its members for doing lots of different things, most of which are designed to advertise products and services from their advertisers. Which is how the company can manage to pay people like you and I for doing such simple things. You can redeem your points for cash or gift cards. The lowest prize is a $5 PayPal deposit which will cost you 650 ZoomBucks. You can also redeem your points for a variety of gift cards such as Amazon gift certificate, starting at $10 for 1000 points. There are many different ways to earn, but here are the methods I personally found to be the best. Jun Videos: One of the best things about zoombucks is it gives a new source of Jun Video/Wall offers. You can access the videos from the main zoombucks page, and when they’re available there will be a big link telling you that you have videos to watch, right below the other offer wall links. Each Jun Video offer gives 2 zbucks, and new videos tend to always appear right after midnight EST/ 9:00 PM PST. I’ve found that these videos remain available on zoombucks a lot longer than they do on Swagbucks, and the overall amount of them I am able to complete in a day is much higher. The videos don’t always just show up at the start of a new day, so occasionally checking at other times is also recommended. Bonus Bar: Zoombucks version of a daily bonus, you can earn bonuses based on how many zbucks you earn in a day. (A reminder, zoombucks is based on Eastern time). 100 zbucks will give you 5 bonus zbucks, 200 will give you 10, and the percentage generally gets higher as you go on (500 zbucks gives you 50 for example). These bonuses are awarded the next day. It’s actually pretty easy to get over 100 zbucks a day just from Jun Videos if you’re a VIP. See below. VIP: If you like zoombucks enough, you can pay to become a VIP. There are different levels, but really the only one you’d want is the lowest level, costing about $2 a month. This gives you faster order processing (I get my PayPal in a day or two usually) and a 50% bonus on almost all offers worth at least 2 zbucks. This turns the Jun Video offers into 3 zbuck offers and makes them superior to those at swagbucks, even taking into account zbucks lower PayPal exchange rate zoombucks has. Concluding from the time I’ve spend on Zoombucks, I can safely say that it’s quite similar to SB in many respects and both are almost on an equal footing. However, where Swagbucks soars ahead is in the age department, it’s more aggressive self-promotion tactics, and the many mentions it receives from mainstream media networks like MSN Money, NBC News etc. 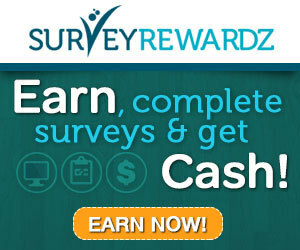 While Swagbucks boasts of a more complete search feature, Zoombucks turns the tables if one considers surveys or the points they reward per survey. You can say both sites call it evens when it comes to payments, although ZB enjoys a slight edge owing to a better customer support system. I’ve also heard most members say that the site pays quite fast. However, I would still prefer to put both sites on the same level; with both of them being legitimate GPT sites.